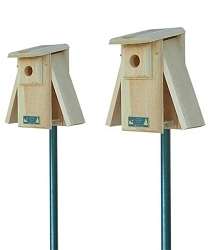 Attract nesting bluebirds to your yard! 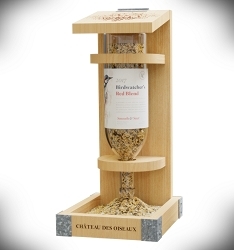 The perfect gift for the birding enthusiast and wine lover! 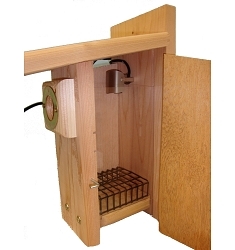 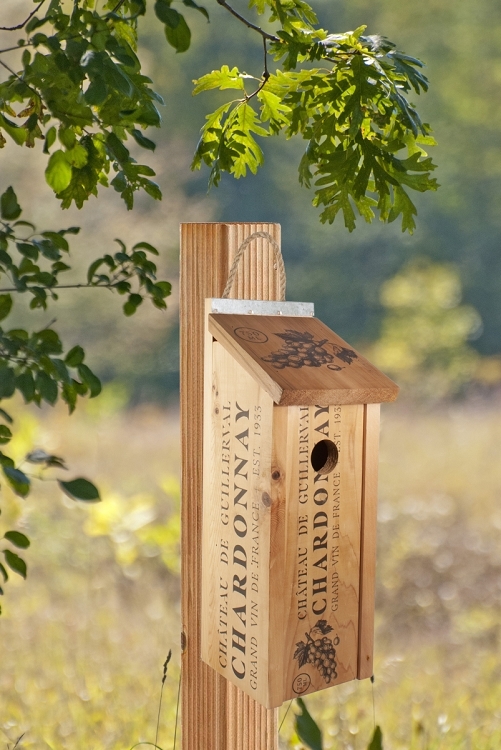 For the wild bird enthusiasts who are also wine enthusiasts, the Wine Crate Bluebird House makes a great companion! 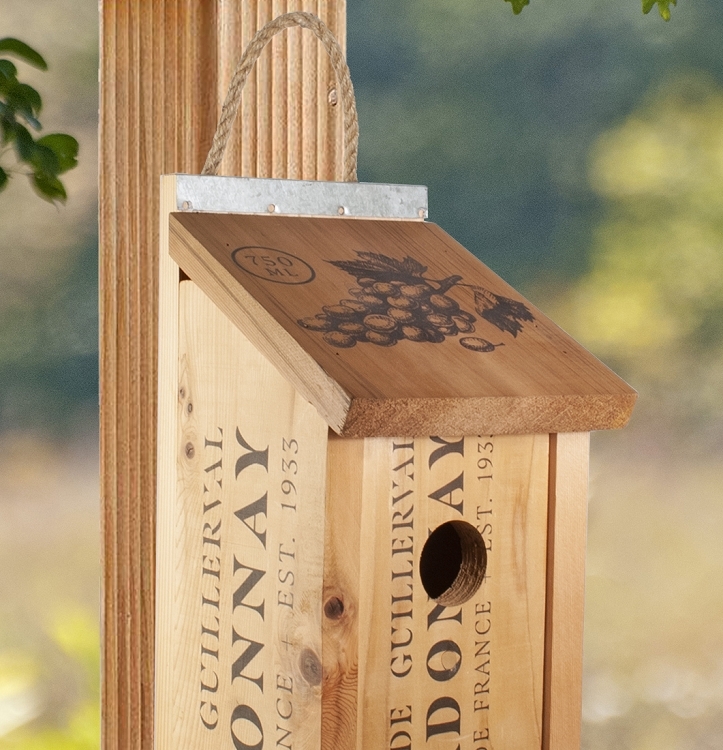 This sturdy wood bluebird house features a reproduction wine bottle crate and graphics. 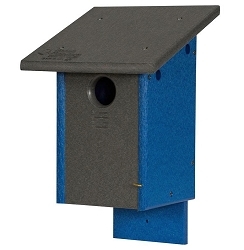 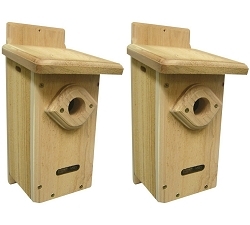 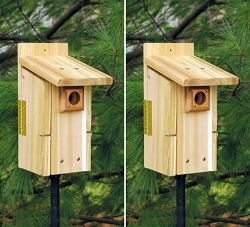 Includes a 1.5 inch entrance hole specifically designed for eastern bluebirds and a galvanized perch and accent trim for a vintage look. 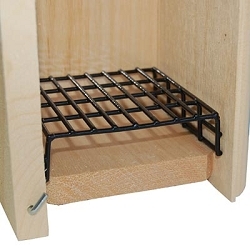 The front slides open for easy access to end-of-season cleaning. 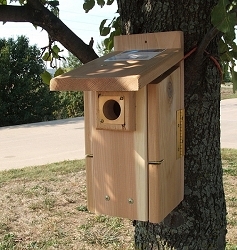 A rope hanger is included so it can be easily slid over a fence post or hung on a nail. 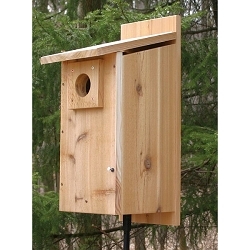 North American Bluebird Society Approved. 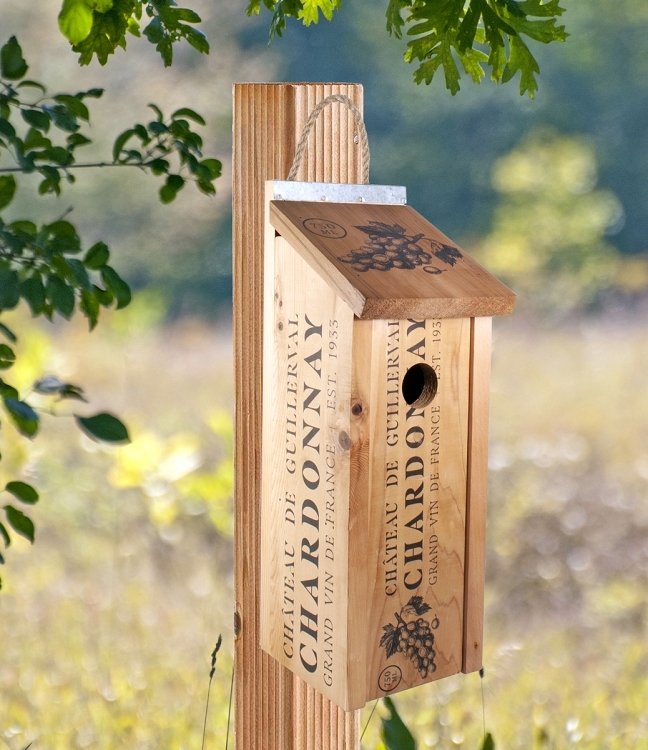 Our Wine Crate Bluebird House makes a great bird house for the backyard and gift for the wine lover in your life. 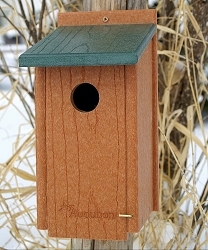 Dimensions: 6"L x 7.25"W x 17"H; 1.5" Entrance Hole; Weight 1.8 lbs. 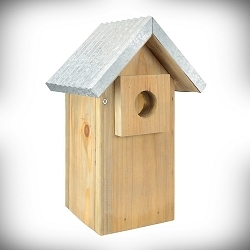 Note: Additional freight may be required depending on order size and destination zone.